This year at the school where I work, the administration put up a Christmas tree. 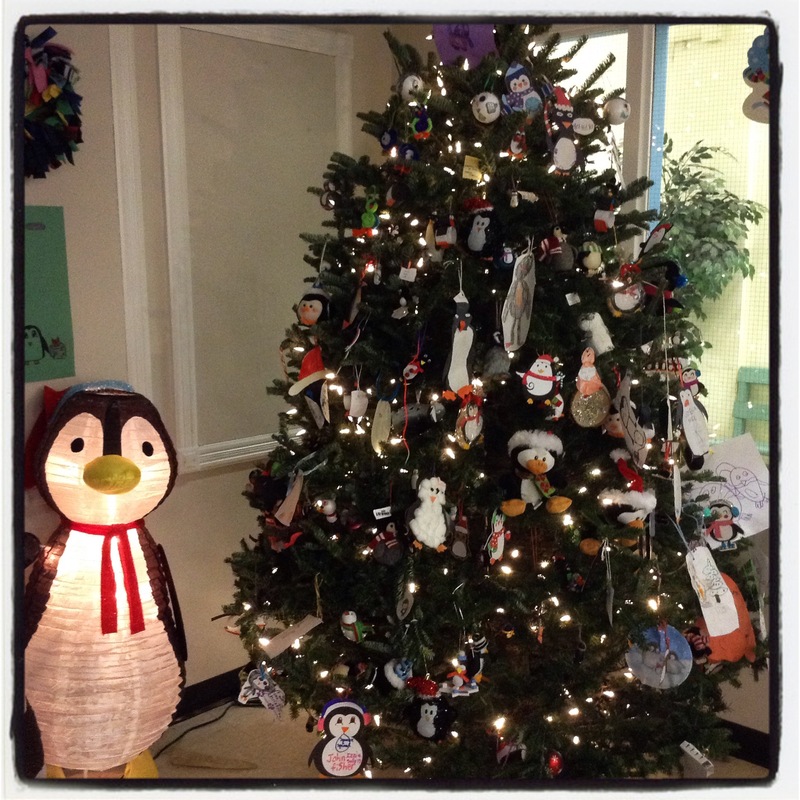 The tree was decorated by the children attending the school with ornaments of the school mascot: the penguin. The decorations brought in were home-made, factory-made, and kitchen-made (a few decorated cookies were brought in). Over time the tree filled up and was admired by all who passed the office. 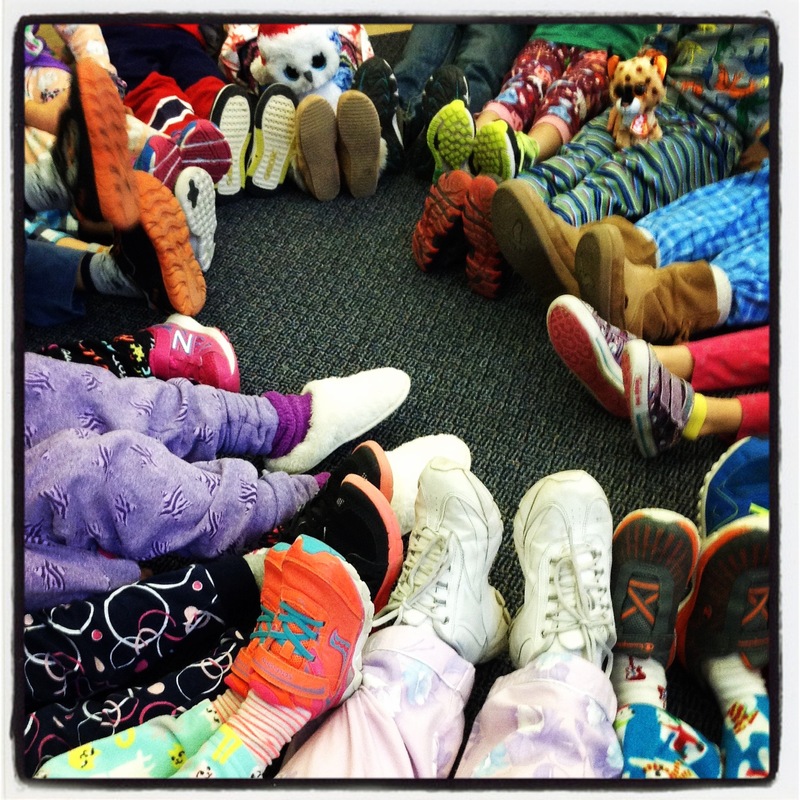 In the morning we attended the school Sing-Along and sang holiday songs in French. The day was relaxed as the class wrote their weekly spelling test and then spent time catching up their work. At the end of the day, they were eager to go home and prepare for the festivities during the holidays. The next two weeks will be spent relaxing at home (often in pyjamas!) with our families. What are your plans for the next 2 weeks? (This post is linked to Silver Threading where Colleen is linking up withChristmas trees around the world). Thank you. Enjoy your Holidays too. Love the penguin tree! Penguins are darling, and we love to go to the aquarium and watch then swim. They are very entertaining. We have quite a few penguin ornaments and decorations, as they were our youngest son’s favorite. The first day we were not singing too much as the songs were new to us but by the fourth day our voices filled the gym with joy. I loved it. That is such great mascot idea!!! 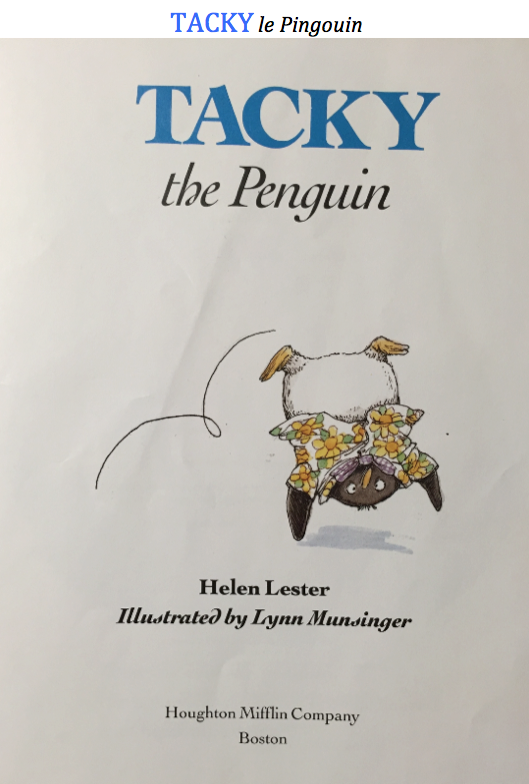 The penguin tree is very cute, though I am a little puzzled that a Canadian school would choose a penguin for a mascot. But I guess we have lions and tigers as sporting mascots down here in the Southern Hemisphere too, so maybe not so puzzling. Penguins are very cute, and it lovely to have the children bring in their ornaments to share. I love the photo of the cute pjed legs. What a fun day. Enjoy your break. I wish you and your family much joy! I was not at the school when the mascot was chosen – it has been a penguin for many, many years. I am sure the cold Canadian weather had something to do with it. The privacy rules with social media can be a challenge can’t they? But they made interesting photos anyway. Your last day did sound like fun! Enjoy the break. Lovely when the children do it together. Enjoy your break with your family. I wish you a lovely festive season. Simply adorable! 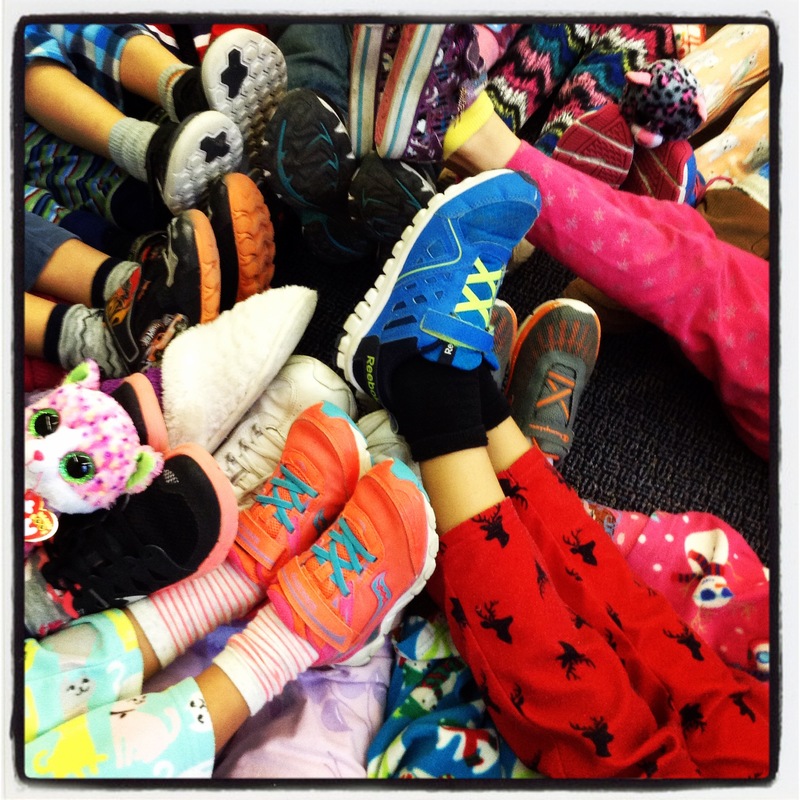 I’m kind of envious of their pajama day (pyjama). I plan to spend some time with family, though I doubt PJs will be involved. No matter. We’ll have a good time together and I know that you can say the same. Have a wonderful Christmas, Colline.